Perhaps the most beautiful Mid-Century desk ever designed. 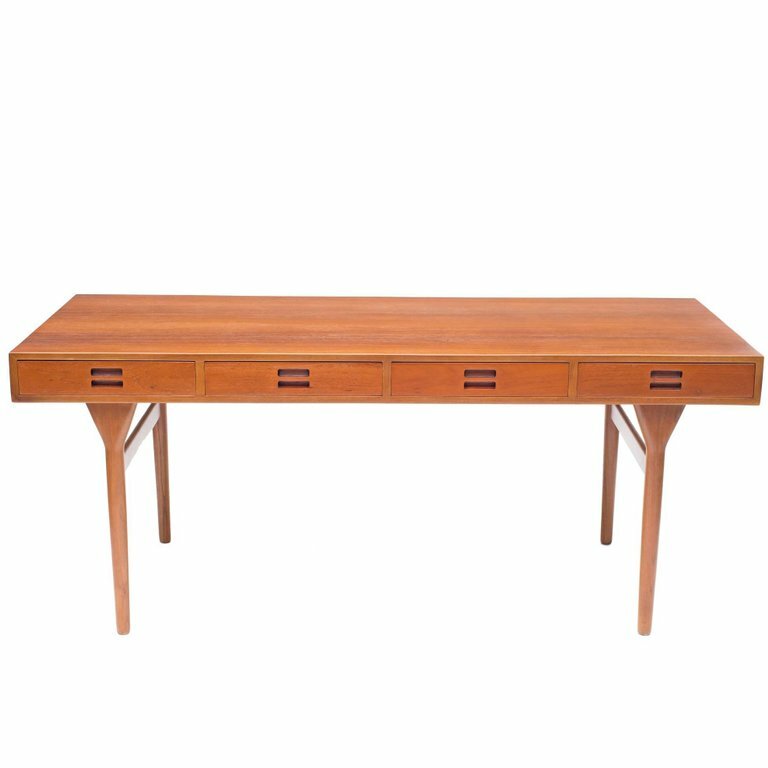 This desk by Danish great Nanna Ditzel and Jorgen Ditzel is amply proportioned (69" long). The four drawers offer plenty of storage. The desk is finished front to back. Made by Soren Willadsen, Vejen.